If you or I swim in freezing cold water for an hour, it would be all over. How do dolphins swim in cold water day after day, week after week without dying? It’s cold hundred of meters below the surface, where dolphins sometimes like to hunt squid. To keep them warm, dolphins have a layer of fat, called blubber, that insulates the inside of their bodies from the cold waters. But even blubber is not enough to keep a dolphin warm when the water is only a few degrees above freezing. As dolphins evolved to live in the water, apparently their circulatory system — their veins and arteries — adapted to the cold as well. If blood circulated to a dolphin’s flipper, for examples, cooled to near freezing from its exposure to the ocean water it could damage the dolphin’s heart or brain. The dolphin’s circulatory system warms the blood from the flipper before it returns into the dolphin’s core. Very much like hot water running through a radiator can warm a cold room, the dolphin’s arteries, which carry warm blood, are positioned very close to the incoming veins from the flippers. The cold blood gets warmed up by the arterial blood as it moves toward the dolphin’s core. Superman could see through solids using his x-ray vision; dolphins can see through solids as well! 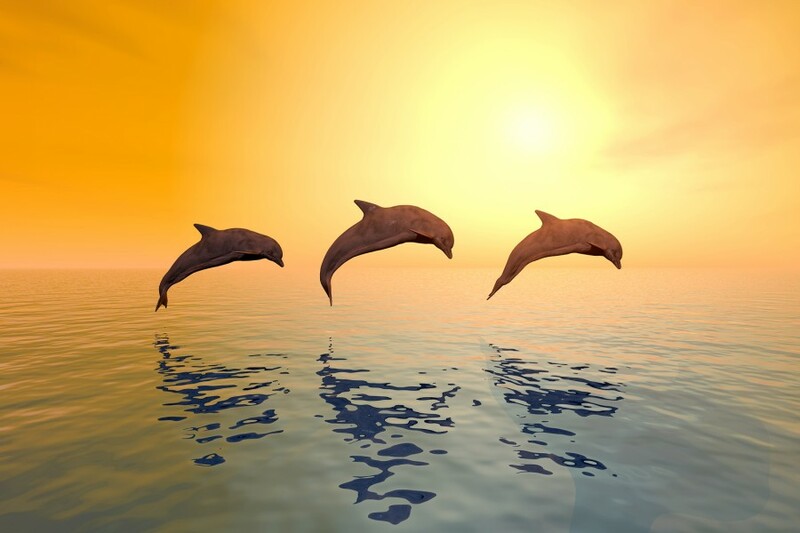 Dolphins can see below the surface of solids; they can tell if a steel ball is solid or hollow without touching it. Dolphins use sound rather than x-rays to see. This means that while Superman could see the color of underwear that Lois was wearing, a dolphin could not!